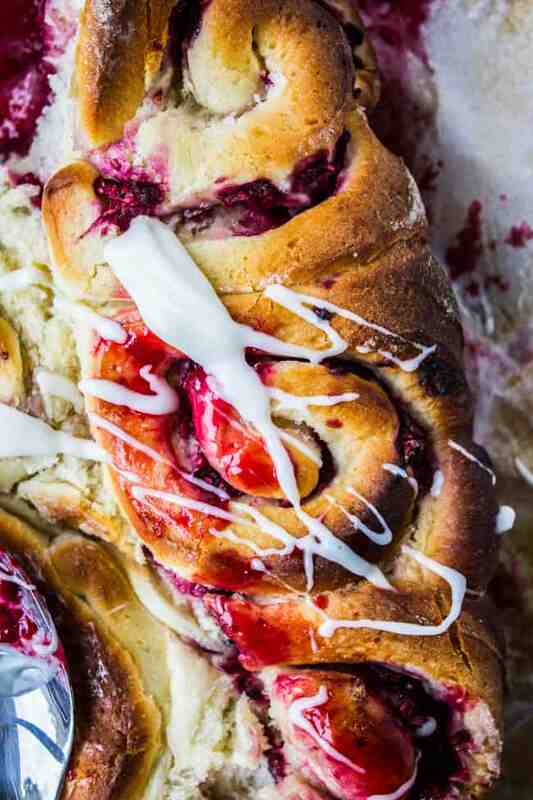 These raspberry rolls are just like cinnamon rolls, minus the cinnamon and plus whole raspberries. They are drizzled with a coconut cream cheese frosting that will make you weep. Perfect breakfast for Valentine’s Day. Have you ever thought about all the reasons why you’re not dead? My mom sent out this article to my family a while back. Basically it’s telling you to stop and think about all the ways you should have died, but didn’t because of modern medicine. Don’t count your faucet-full of clean water and your fridge full of unspoiled food and the proper sewage system that you have access to; I’m talking about that one time you had pneumonia as an infant (my brother), or when you were hospitalized as a toddler for dehydration (my sister), or when you had a 20 minute surgery that one time to cut out a bit of cancer (me). When Truman was born the doctor called a code blue because he wasn’t breathing. Charlotte caught a fever when she was 6 weeks old that would have killed her 100 years ago. My sister pointed out that none of her kids would have even been born without infertility treatments. Don’t even get me started on vaccines. 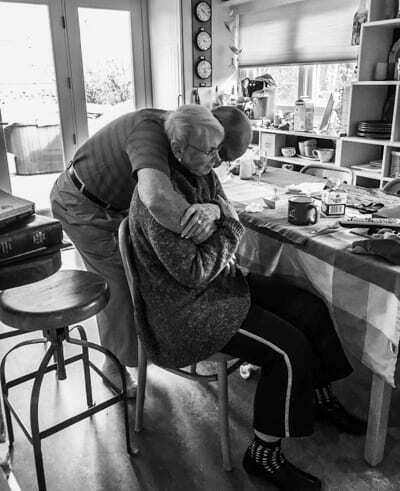 Here’s a photo from last week of Eric’s grandparents, Nana and Bumpa. Bumpa had triple bypass surgery on Monday. My own grandfather had one as well, years ago. Bumpa is recovering well, making jokes on morphine. This life is amazing. Especially since these days, we literally get twice as much of it. Unless you’re my brother-in-law, whose response to this article was, “I’m Southern European so I already have infinite lives.” Italian vanity knows no bounds. So what about you? Antibiotics save your life? Emergency C-section? Any reasons you should be dead? 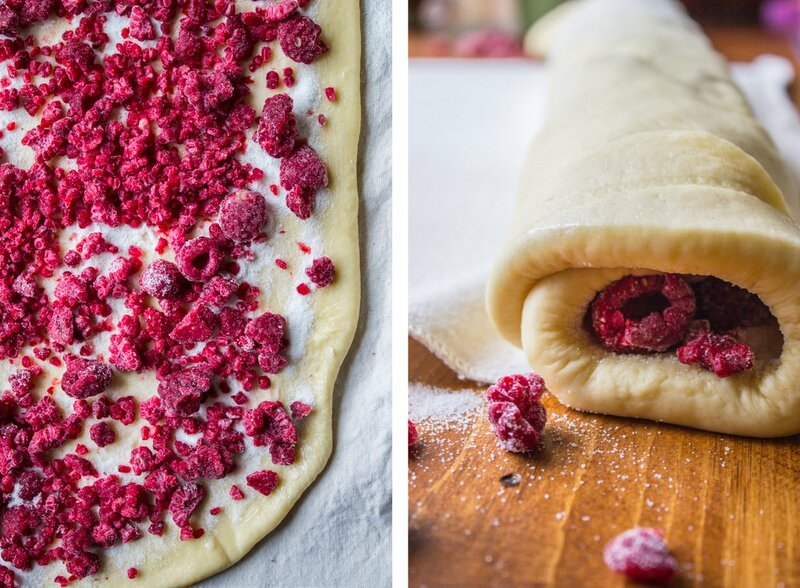 On the left: the level of frosting I pretend to put on my Raspberry Rolls. On the right…the amount I actually put on. These here rolls are batch number 3. 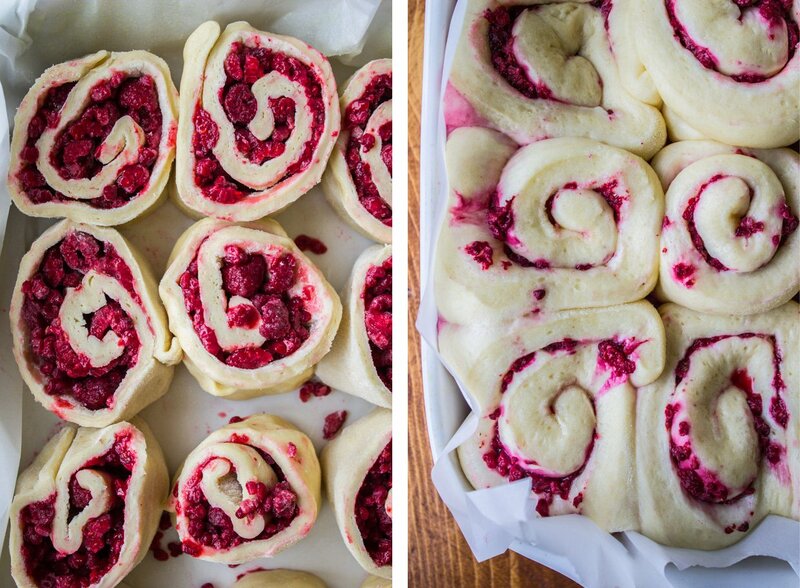 I mean not that I’m complaining, even a subpar batch of raspberry rolls is still a batch of raspberry rolls. But I’ve saved you the trouble. A word about the frosting: there are no words. Just do it. 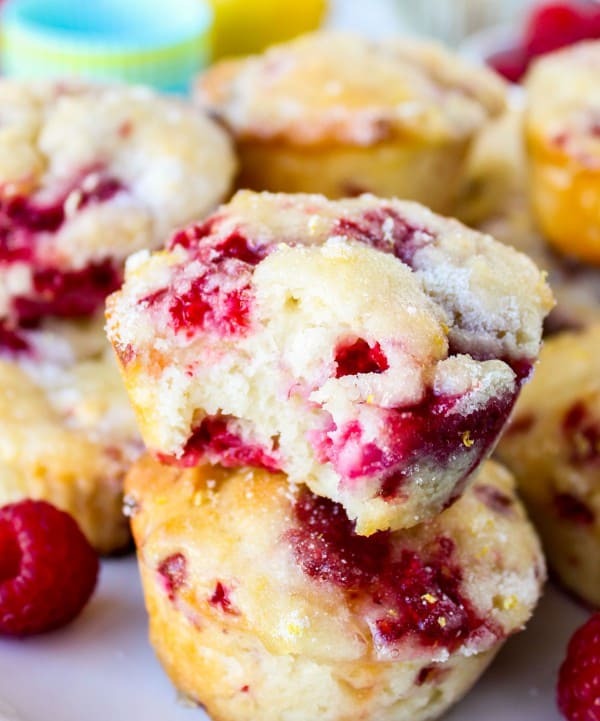 Coconut and raspberry were meant to be. 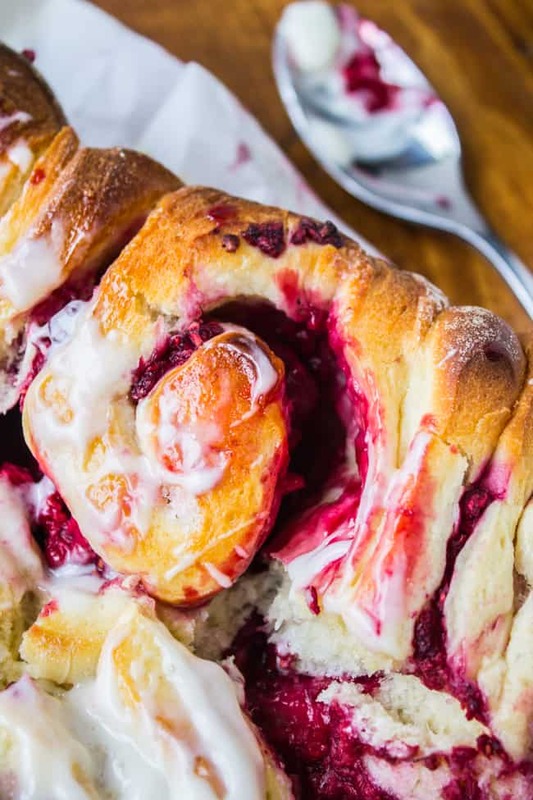 Make these rolls for Valentine’s day! 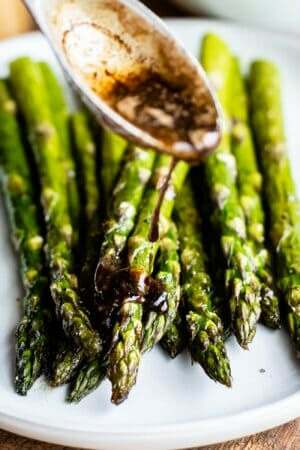 Love is in the air, especially when these babies are in the oven. Heat the milk in the microwave or in a pan on the stove until it is about 95 degrees F. If you stick your finger in it, it should not feel uncomfortable at all. It should feel like a nice warm bath. Add the softened butter and eggs and beat with the paddle attachment (or a spoon). After it has all come together, beat on medium for 10 minutes with the paddle, or knead with your hands for 10 minutes. You dough should be very soft and shiny; see photo. Turn your oven on to the warm setting, about 170 degrees F. Grease a large bowl. Scrape the dough onto a large well-floured work surface. Knead 1-2 times to bring the dough together. Place the dough in a well-greased large bowl and cover with a tea towel. Turn off your oven, and place the bowl inside. Let the dough rise until doubled, at least an hour and a half, if not 2. Line a 9x13 inch pan with parchment paper, then spray with nonstick spray. Set aside. Punch down the dough and roll into an 18x10 inch rectangle on a large well-floured work surface. 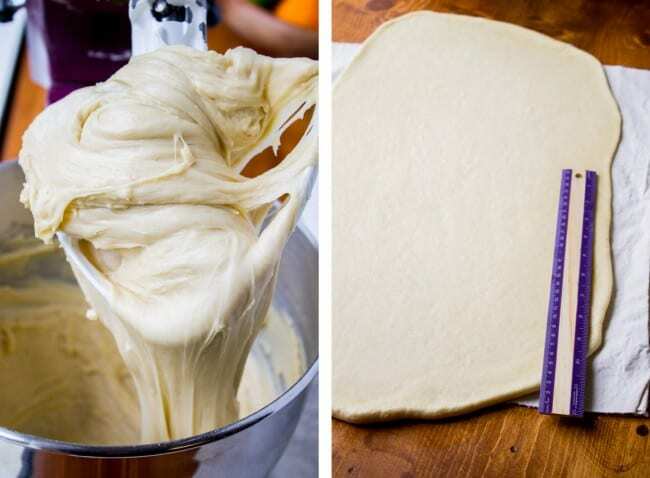 Spread the dough with about 2 tablespoons of softened butter. In a small bowl mix together 1/2 cup sugar and 2 teaspoons cornstarch. Sprinkle this mixture over the buttered dough. Scatter the frozen raspberries over the dough. I pulsed mine in the blender a couple times to break them up a bit, but I've tried it both ways and that step is totally optional. Carefully roll up the dough, starting from a long end. (Your roll should be about 18 inches long). Place the rolls into the prepared 9x13 inch pan. I like to put the end rolls (the wimpy looking ones) in the middle of the pan so they don't get over baked on the edge. Turn your oven on to the warm setting again, then turn off and place the rolls inside, covered with the same tea towel. 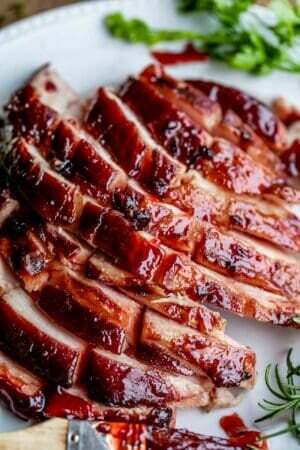 Let rise for 1 and 1/2 to 2 hours, or until puffy (see photos). During the last 15 minutes of rising, remove the rolls from the oven and preheat the oven to 400 degrees F. Cover the rolls with aluminum foil. Bake the rolls for about 25-30 minutes, or until they are golden on top and the rolls do not jiggle at all when you shake them. You may need to remove the foil for the last few minutes to brown the center rolls. 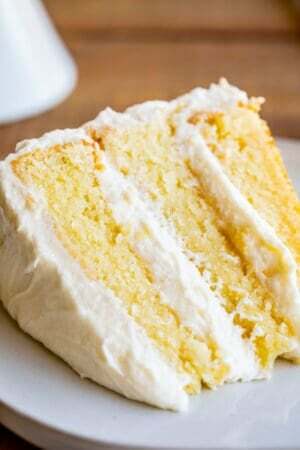 To make the frosting, beat together the butter and cream cheese until smooth. Add the powdered sugar and beat. Add 3 tablespoons milk, salt, and coconut extract. Beat well. Add more milk until the frosting is the consistency that you want. When the rolls have cooled long enough to handle, invert the rolls so that the filling doesn't stay on the bottom. Lift the rolls using the parchment paper and flip them into the pan. This is optional and definitely not as pretty as the top, so keep that in mind if you are trying to impress. Drizzle or spread the rolls with the coconut cream cheese frosting and serve warm. A note on flour: this is a VERY soft dough. You will be tempted to add more flour. Try to resist. Beat for 10 minutes, and if the dough is still completely unmanageable, knead a bit more in. Source: rolls adapted from Food and Wine, frosting is from this Blackberry Cake, which you should TOTALLY MAKE. 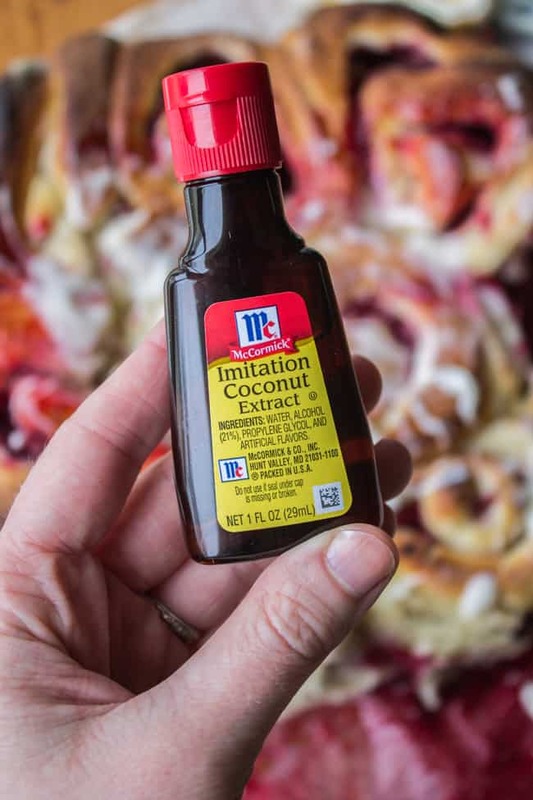 This stuff ^^ Game changer for the frosting. Love it! 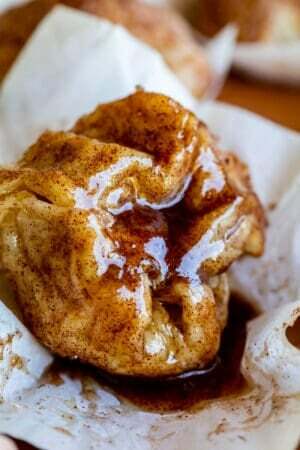 I’ve been dying to try these and plan on making then today but I have a question. I was reading over the directions and can’t see where you add the flour. I’m assuming before the butter, but I want to make sure. I’m kind of a stickler for following directions. Lol can’t wait to try these! Thanks so much! I made them last night and they were a big hit with the family. I used fresh berries because they happened to be on sale and cheaper than frozen. 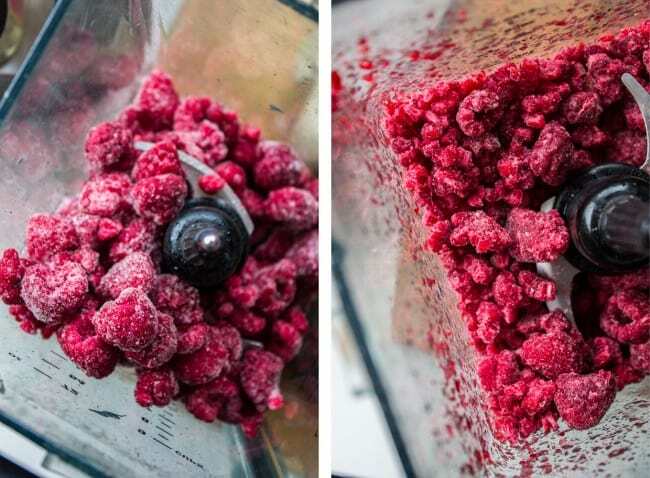 I think I may have missed out on some of the juiciness from using frozen berries. But seriously, I can imagine them having tasted any better! This recipe is a keeper. Can’t. That should say I can’t imaging them tasting any better. As in, they were spectacular! I’m so proud of you for testing recipes so many times and not giving up Karen!! It’s hard to get back in the kitchen after a recipe failure. I had 3 in a row yesterday, so I decided to salvage the night by declaring it was a cookies-for-dinner kind of day. 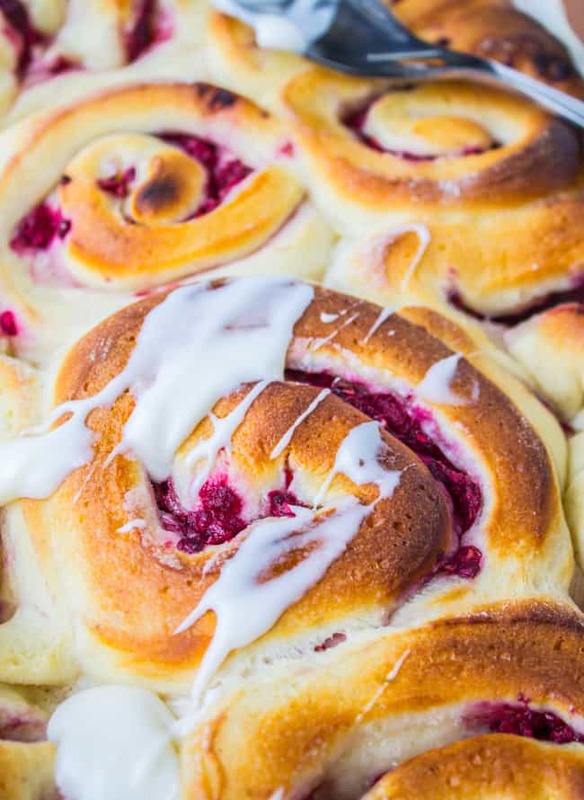 If only I had these raspberry rolls, I would’ve eaten them instead! And gotten a healthy serving of fruit. ;) Pinned! Cookies-for-dinner-days are the best days :) There are worse things than recipe failures, at least we get to eat subpar desserts, haha! And i agree with the healthy serving of fruit comment. Makes these practically healthy. I honestly think I may have been one of the lucky ones who would still be around 100 years ago…but modern medicine is totally amazing, and I would love to see where we end up 100 years from now (I work in cancer research and I guess that’s what I’m thinking). And your brother in law…hysterical! 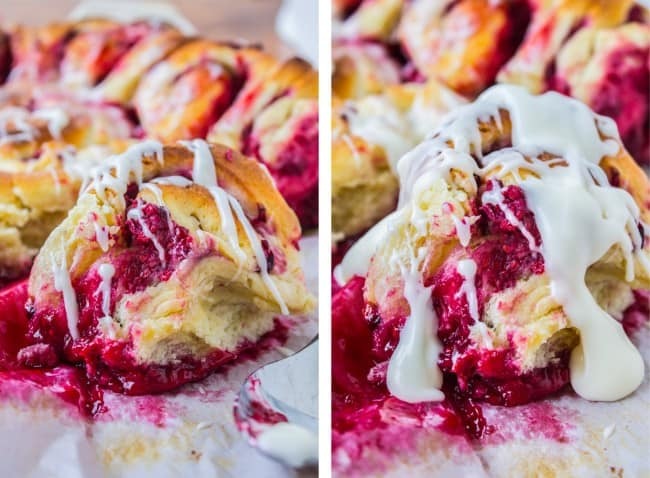 These rolls are so pretty, and coconut cream cheese frosting + raspberries…I’m sold on these! So so true. 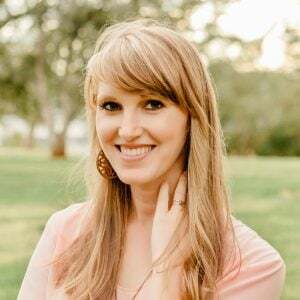 I was born close to three months early – there’s no way I would be here without modern medicine!! 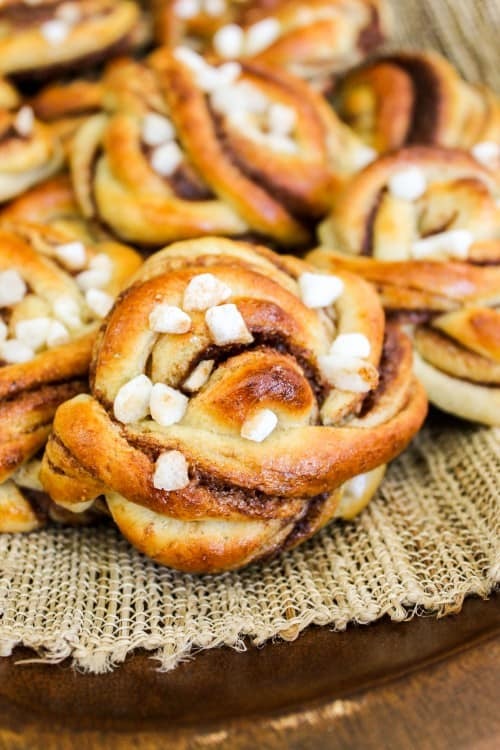 And these sweet rolls … my goodness!! They look amazingggg. 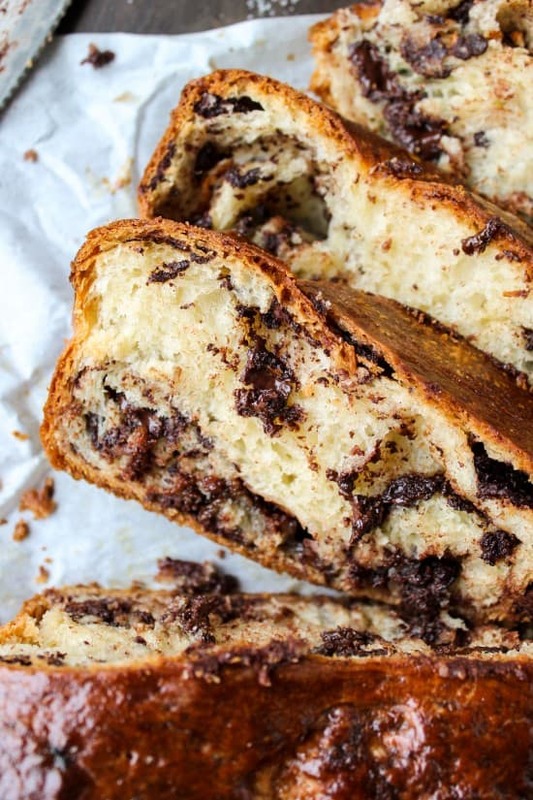 What a great reminder, Karen, of how far we have come – both medically and deliciously ;) I’m sure my ancestors weren’t dining on decadent rolls like these – or maybe they were, who knows! Your segues are awesome! :-) You know what else is awesome? These rolls. I have a real thing for coconut, so I am all about this frosting! What is it about rolls that gets me every time? These are simply stunning, and I’m loving that raspberry dripping from the bottom! Oh what I would do for a big ol’ roll right now! 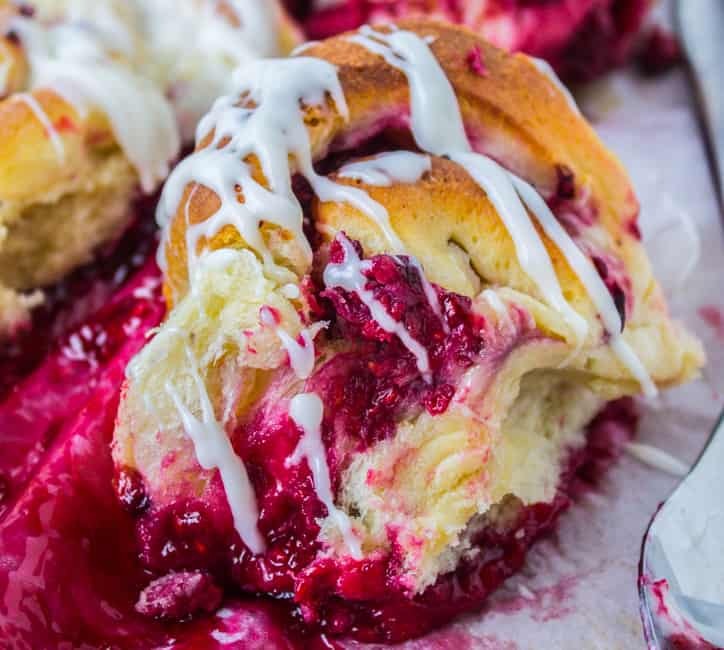 Your raspberry sweet rolls with coconut cream cheese frosting are killing me dead, right now. And bringing me back to life so that I can make and eat them as soon as possible. You know what else could potentially bring me back to life? Modern medicine and science. Anyone who disagrees can be quarantined INSIDE Disneyland and enjoy their taste of an illness that shouldn’t be ravaging the country in this century. Haha Nancy, I love imagining you locking people up in Disneyland. lol!! That article was fascinating (and a teeny bit terrifying). Sure does make me thankful to live in this century, especially since I’ve taken my husband not once, but three times, to the ER for dehydration since we’ve been married. The whole thing reminds me of playing Oregon Trail. You’re just one snake bite away from a hastily made grave on the side of the trail. Yikes! 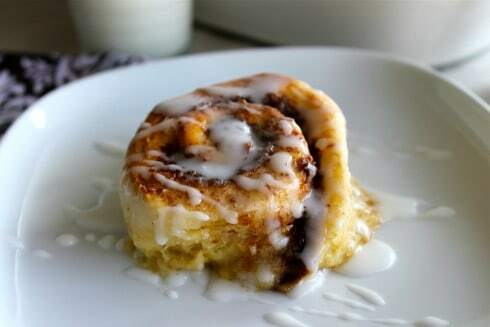 Oh, and sweet rolls? Yes. That second photo was definitely the appropriate amount of icing. Pour it on! Karen, those rolls are loveliness!! Gorgeous! I adore raspberries. I’m so thankful for smart doctors…emergency c-section here. Super scary but we made it. We really are blessed to live during this time. Not only because of modern medicine but Nutella. Nutella wasn’t around then…what was that life like?!?! Haha Kathleen sometimes I go back and read old comments of yours and just laugh out loud. Really, what WOULD life be like without Nutella?? Hahaha the before and after frosting pictures! SO true. I haven’t had my life saved by modern medicine in some dramatic way, but as you say, VACCINES. And ibuprofen, and antibiotics, and who knows? I’m glad I live in the day of no leeches. And food blogs. Had to have a blood transfusion when I was born, so probably wouldn’t be here today without that! Love these rolls. Can you send me a pan. You know, as a reward for making it to the ripe old age of 34! Karen, you are right, we are lucky for all the healthcare we have today, which not everyone on this globe has access to, and one has to be the blood clots in lungs situation I found myself in a couple of years ago. Back to the rolls, these look ah-mazing!! And I’m very very glad I’m alive to see them.